We at Onename are excited to announce that we’re changing the name of our company to Blockstack Inc.
Onename, a consumer application that you’re all familiar with, was built on top of a blockchain-based platform for identity and storage that we developed called Blockstack. Onename will keep its name as the consumer product that Blockstack Inc maintains, and the only thing changing is the name of our company. 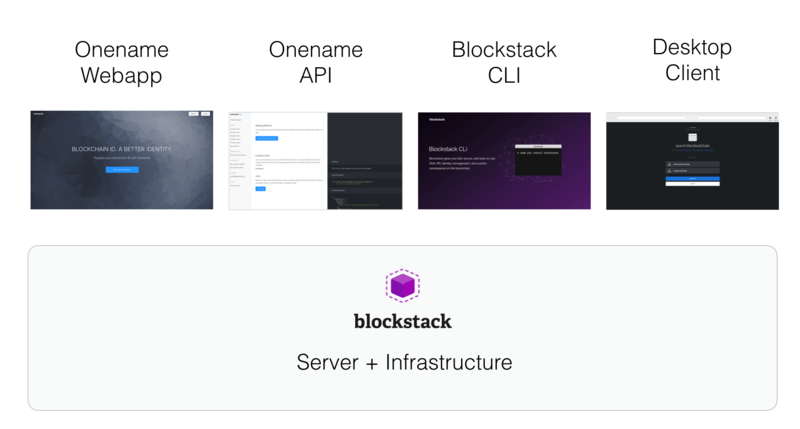 Blockstack Inc will continue to be involved with maintaining and contributing to the Blockstack open-source software, as it has done for over a year. Blockstack Inc is just one of many companies working on the Blockstack open-source project along with other companies and open-source developers. Blockstack is now the largest non-financial application running on the Bitcoin Blockchain by transaction volume. The Blockstack community has over 750 members in countries all over the world and many developers are building applications from marketplaces like OpenBazaar to platforms in the internet-of-things space. As the Blockstack network grows, the Onename web application will continue to be one of the easiest ways for consumers to register and manage identity accounts on Blockstack, but it will not be the only way. Other identity management options are already available, like the Blockstack command line interface, and more are coming soon. We’re excited about the new, clearer structure and we hope you are too. We invite you to check out our new website for Blockstack Inc, subscribe to our new blog, and learn more about the Blockstack decentralized identity and storage platform at Blockstack.org.